Born in New Zealand's southern city of Dunedin, David spent most of his early years on a musical diet of British folk and rock. From the age of 15 David played regularly in bands as acoustic and bass guitarist, touring many of the remotest parts of the country. Most of David’s third decade was spent in Europe, notably in Ireland, France, Germany, and Austria where he taught English and music. A lengthy period of traveling the hippy highway brought him into contact with the many cultures of the Middle East, Indian subcontinent, Nepal and South and Central America, to which he returns regularly. His love of music, travel and technology combined when he encountered Jon Mark, formerly of the Mark-Almond band, and his partner Thelma Burchell and was invited to join their White Cloud label. David's involvement with White Cloud introduced him to fellow New Zealand artists Philip Riley and Peter Pritchard: an association that continues and develops. David continues to travel the world in his quest for musical and cultural experience and to record the sounds of environments and cultures for future generations. He has explored the Pacific, the Far East and American continent and still his greatest inspiration continues to be drawn from the natural beauty of New Zealand's extraordinary landscape. David now lives in Auckland where he runs Music Restoration NZ, a digital production and mastering house specializing in the restoration of valuable, historic recordings. 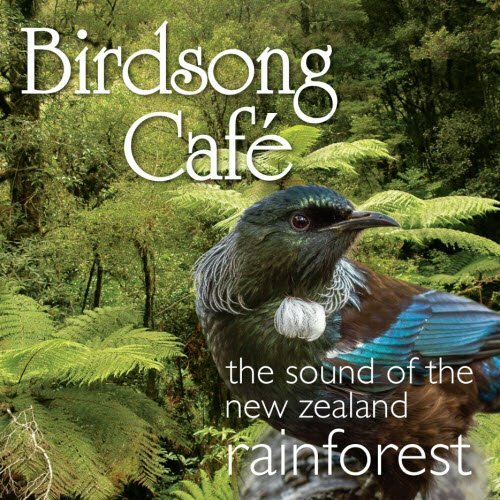 This beautiful CD will take you on a journey into nature you will never forget. In this stunning, hour-long panorama-in-sound of New Zealand's natural world, you will visit primordial rain forests, remote mountain peaks, placid lakes, and ocean depths. You will hear the voices of more than 70 of the fascinating and unique creatures that make these beautiful Pacific islands their home. Welcome to their private world where they will capture your imagination and heart.